BL014-SRTPGP Double Stitched Perforated Edges Professional Dress Leather Belt. 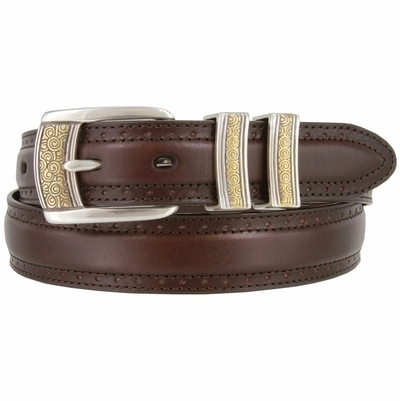 1-1/8" = 30mm wide Smooth Italian Leather Belt. Antique Silver and Gold Plated Swirled Design Buckle.